Everyone loves a good movie; whether it’s an animated film or a psychological thriller, most films are best enjoyed with friends. 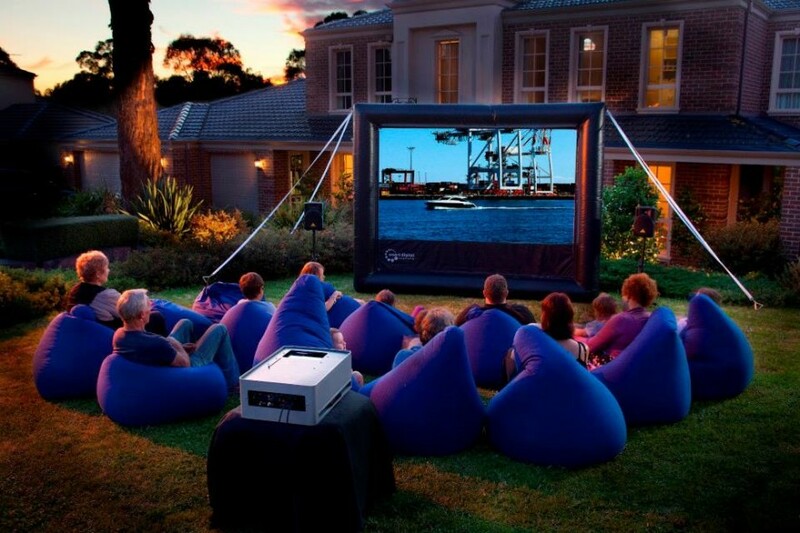 This fall, consider setting up a backyard movie theater for the ultimate viewing experience. This guide explains why you should plan a backyard movie party this autumn. Many people associate summer with outdoor festivities. However, autumn is an opportune time for backyard parties. For one thing, friends and family are more likely to be in town in the fall, making it an excellent time to get everyone together. Also, backyard parties are ideal for kids during the school year when classes and sports make for a hectic schedule. The New England autumn scenery can’t be beat, either; and, what better way to enjoy it than in the comfort of your backyard, surrounded by those you love with a cup of cocoa or cider in your hand? Before the movie, you can enjoy fall backyard games like football or soccer; or, do autumn crafts with the kids like carving pumpkins or assembling Halloween crafts. No movie night would be complete without a proper movie screen. A giant rental movie screen allows for the ultimate home theater experience. A 16’ by 9’ screen has 144 square feet of picture space, suitable for groups of up to 250 people sitting on the grass, 400 in chairs, or 1,000 standing. Not only is it ideal for an outdoor movie night, but it’s also perfect for special events such as barbecues, weddings, and birthdays. Kids of any age can also use it to play their favorite video game for the ultimate immersive experience. Whatever type of event you’re hosting, make sure there’s plenty of comfortable seating as well as fall-themed treats and decor to set the stage. If you’re ready to set up your backyard movie theater, turn to the party rental professionals at Leap N’ Laugh The Ultimate Bounce House Experience. From unique inflatables and bounce houses to party tent rentals and backyard movie screens, they have everything you need for the ultimate backyard movie theater get-together. Call (585) 469-8922 to speak with a friendly staff member about your upcoming event. Or, visit the website to see all the weekend rentals and birthday packages they have to offer.